The project has been funded by the Natural Environment Research Council, the Arts and Humanities Research Council and the Economic and Social Research Council, as part of the Global Challenge Research Fund, a £1·5 billion fund announced by the UK government in 2015 to support cutting-edge research that addresses the challenges faced by developing countries. 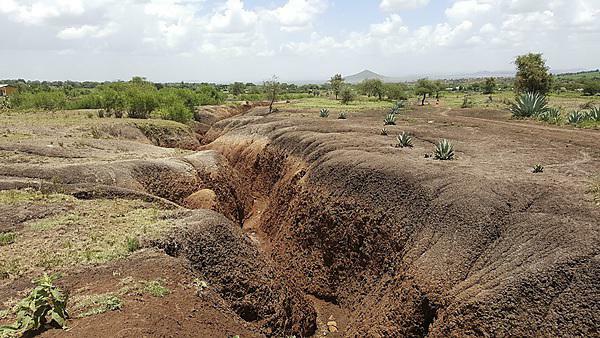 This undermines the resilience of communities that depend on soil and water resources, and shocks are often amplified by physical and socio-cultural positive feedback mechanisms. Restoration of the landscape can, however, lead to greater-than-previous levels of resilience (sometimes termed ‘bounce back’) if a holistic view of environmental and community needs is considered. The ultimate aim is to create a model with three strands – defining the problem, identifying pathways to change and facilitating action – which can be applied in this region and, subsequently, across the developing world. With growing populations and increased demand for food, the landscape is approaching a tipping point so finding a means by which to augment food production while preserving the quality of the land for future generations, is essential. The lecture will explore how catchment science evidence from advanced soil and sediment tracing tools can support land management and soil conservation decisions.